Car Recall Info, News and Notes. If it's a car, and there's a recall on it, we've got it here. 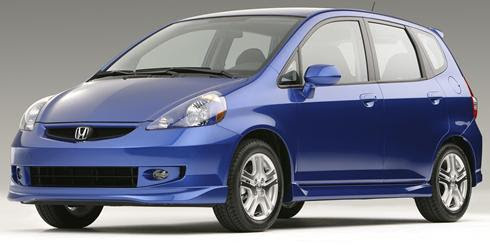 Honda is re-recalling certain model year 2007-2008 Fit vehicles covered under previous recall 10V-033. The remedy applied in this earlier recall may have been insufficient. In the affected vehicles, over time, the plastic cover may separate from the master power window switch allowing water to enter the driver's window and reach the master power window switch. If the master power window switch is damaged as a result of the water intrusion, overheating and failure of the switch may result. An overheated switch can cause smoke, melting and fire. Got a Lemon Honda Fit? Want a New Honda Fit or Your Money Back? Known nationwide as a leading Lemon Law attorney, Ronald L. Burdge has represented literally thousands of consumers in "lemon" lawsuits and actively co-counsels and coaches other Consumer Law attorneys. From 2005 through 2018, attorney Ronald L. Burdge has been named as the only Lemon Law Ohio Super Lawyer by Law and Politics magazine and Thomson Reuters Corp., Professional Division. Burdge restricts his practice to Lemon Law and Consumer Law cases. The Ohio Super Lawyer results are published annually in the January issue of Cincinnati Magazine. Ronald L. Burdge was named Consumer Law Trial Lawyer of the Year 2004 by the National Association of Consumer Advocates, the nation's largest organization of consumer law private and government attorneys. "Your impact on the auto industry has been magnified many times over because of the trail you blazed for others," stated NACA's Executive Director, Will Ogburn. Burdge has represented thousands of consumers in Ohio, Kentucky and elsewhere since 1978 and is a frequent lecturer to national, state and local Bar Associations and Judicial organizations. Burdge is admitted to Ohio's state and federal courts, Kentucky's state courts, and Indiana's federal courts. Other court admissions are on a "pro hac" temporary, case by cases basis. Copyright 2014 Car Recalls Blog.